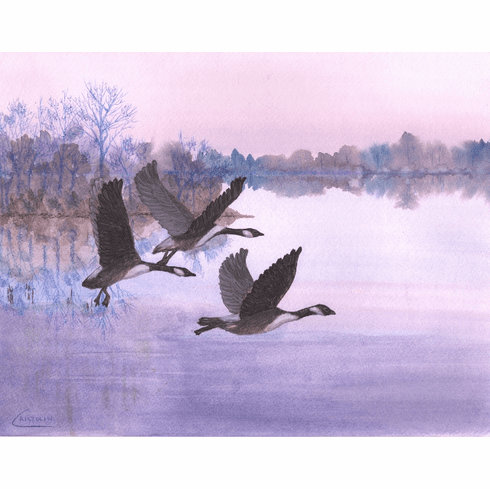 "Flight at First Light" is an original watercolor painting by the nature artist Cristolin. Three Canadian geese take flight over still waters reflecting the delicate pinks and lavenders of sunrise. The peaceful scene will complement any room where soft, muted colors are desired.